The floor mopping chemicals that you use to clean your floors will depend on the type of floor that you have. As far as the type of mop, opt for a string or rag mop if you have a floor that has a lot of texture. If your floor is smooth, a sponge mop is the best option. To reduce the amount of dust and debris that ends up in the mop, you should start by sweeping or vacuuming the floor. This is a good time to apply a prewash mixture to any spots or stains on the floor that you come across while you are preparing the floor for mopping. If you will use a cleaner to mop the floor, make sure that you follow the directions on the bottle to add the right amount of cleaner. Adding the right amount is important because adding too much cleaner will result in a residue on the floor. It will not make your floor cleaner. As you dip the mop in the cleaning bucket, you should use a wringer or your hands to remove the extra water. Putting too much water on the floor can cause damage to the floor or result in the floor taking longer to dry. As you mop, make sure that you mop from top to bottom in the room so that you are always on a part of the floor that hasn’t been mopped yet. 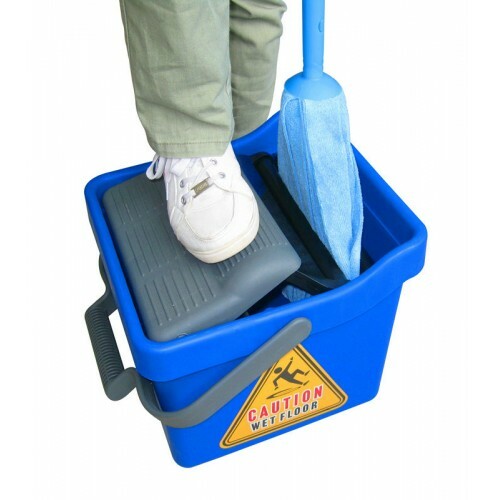 This will prevent dirt from being tracked to areas of the floor that have already been cleaned. 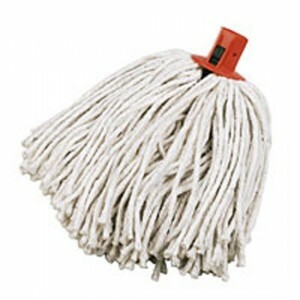 If you are using a rag mop, you should make sure that mop in a figure eight pattern in order to get the best results. For a sponge mop, you should mop in a straight line. When there are spills or stains to be cleaned, go over the area by rubbing and pressing down with the mob. When the mopping water is dirty, that means that it is time for it to be changed. Don’t continue mopping with dirty water. Otherwise, you are just putting the dirt you picked up back on the floor. If you have hard to clean corners where the mop won’t fit, use a rag or paper towel to clean these areas. When you are finished, make sure that you apply the appropriate caution signs to the area. Make sure that the floor has dried completely before people are allowed to walk on it again.